Behold the longest LEGO toy ever created! 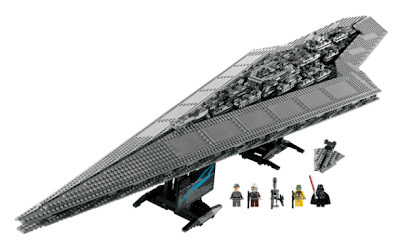 At over 4 feet long, the new LEGO Star Wars Star Destroyer Executor is arriving on September 1, 2011 just in time to drain your wallet before the holiday season begins. Retail price is $400. Of course, LEGO sets like these are usually pretty good at holding their value, so just consider it an investment. This jaw-dropping vessel is the personal flagship of Darth Vader, and serves as command ship at both the Battle of Hoth and the Battle of Endor. With its classic dagger-shaped design, the Executor is among the largest and most powerful vessels in the Star Wars galaxy. With over 3,000 pieces, measuring nearly 50"" (124.5 cm) long and weighing nearly 8 pounds (3.5 kg), every aspect of this fantastic LEGO® Star Wars™ model impresses. * Features over 3,000 pieces! * Measures nearly 50 inches (124.5 cm) long and weighs nearly 8 pounds (3.5kg)! * Includes display stand and data sheet label! * Center section lifts off to reveal command center! It's exclusive to LEGO.com and LEGO Stores, so don't look for it at Toys 'R' Us. 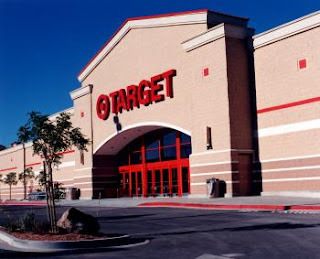 All Target stores nationwide have just recently marked down their 3 3/4 inch G.I. Joe action figures to $4.99 each. This sale is in effect thru November 24. They are regularly priced at $6.84, so it's a nice price cut. And with the re-issue of many of the early figures from the 25th Anniversary line, it's the perfect time to catch up on some of them you may have missed. Your humble editor has been on the road this week in the San Diego area and have been experiencing some internet problems, so I apologize for the lack of updates -- we should be back on track now. I love toy hunting when I'm out of town; I think I live in a horrible area for collecting toys as the shelves are always bare compared to what I find on the road. I stopped by a nearby Target store last night and it was stocked to the gills with toys I have been looking for, including several G.I. Joes I needed. I never seem to find anything but Wild Bill or Duke at my hometown Target, so I was pleasantly surprised. Last time I was here two months ago I found Cobra BATS by the armful. I purchased Snake Eyes with Timber, Battle Armor Cobra Commander, and Snow Job. The price on the pegs was still marked $6.84, but when I arrived at the cashier they rang em up for the sale price. I'm going to a different Target tomorrow to try to find some more. I still need to find a Sgt. Stalker for my collection. 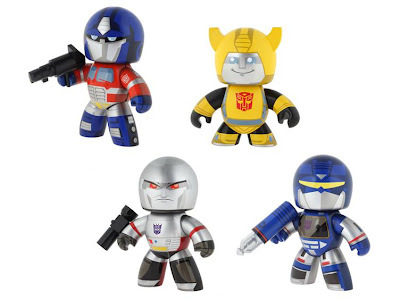 Pictures of the complete set of Transformers Mighty Muggs wave 1 have finally been released. We've previously seen a couple of these, but pictured above is all 4 of the initial batch of the cute little vinyl robots that are heading our way in early 2009. Megatron looks badass, as does Soundwave (I love those oversize guns). But that goofy little smile on Bumblebee's face just rubs me the wrong way. And no, they do not transform. 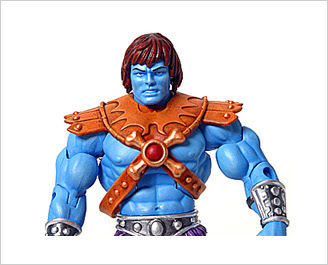 As we patiently await the release of Masters of the Universe Classics He-Man and Beastman on December 1, Mattycollector.com has just updated with some awesome news for fans about what they have in store for the coming year. It looks like Faker will make his debut at the NY Comic Con (February 6-8, 2009), and then be available in March via the Mattycollector website. 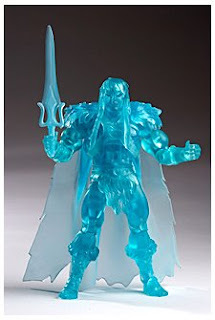 This is sort of what they did with King Grayskull last summer at the San Diego Comic con, so just how limited this figure will be is still to be discovered, but you can get him first by attending the NY Comic Con. They promise more news, release dates and photo guides for other figures in the next week or so when they launch their new brand page at Mattycollector.com -- so stay tuned. In the meantime, enjoy these pics of Classics Faker. Coming in the next few weeks to store shelves is the Star Wars Legacy "Build-A-Droid" action figures wave 5. There are 8 new figures in this wave and shown below are the just released in-package photos from Hasbro (click for hi-res images). Collect all 8 to build two different droids. Also, as Hasbro has been doing lately, this wave features re-releases from the previous waves (Luke Skywalker, General Grevious, Commander Faie) which include the Droid pieces from wave 5, not the original pieces they first came with. 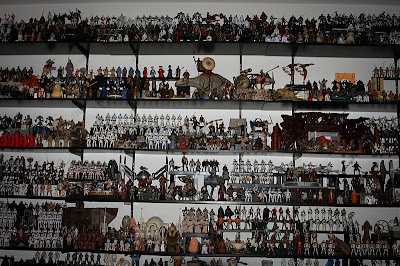 Of all the toy collections I have seen, I think this is the largest and best organized loose Star Wars collection I have ever had the privilege to set my eyes upon. 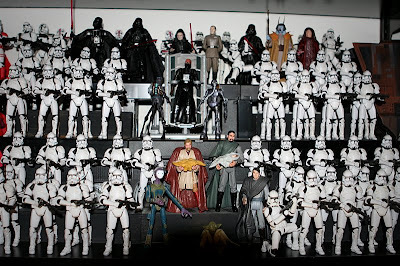 Rebelscum.com forum member "Kneel Before Zod" posted some photos of his collection awhile ago, but updated it with new photos last month that show the amazing size and quantity of his toy horde - all neatly organized on display shelves. This is truly a work of art. Do not open this link unless you are on a high speed connection, because you will be overwhelmed with the sheer number of photos. 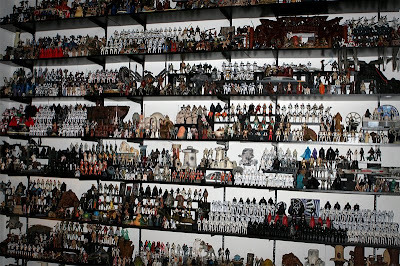 But if you want to see the grand work of an obsessed Star Wars collector (and I mean that in a purely positive way), click the link below. Sir, I salute you! Well this is something I thought I would never see. 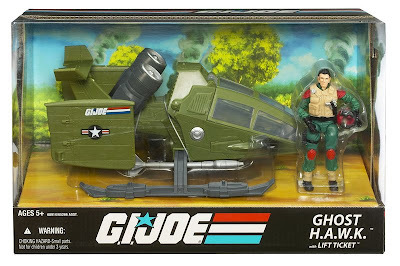 HasbroToyShop.com, the official toy site of Hasbro, is now selling AFA graded G.I. Joe figures (wave 11). 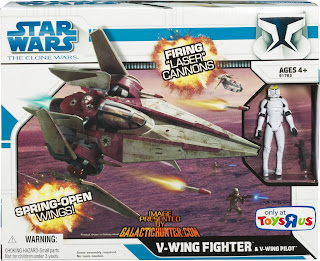 This is just plain odd -- as a mass market toy company, Hasbro has often shown a lack of concern towards collectors. As anyone who has ordered from their website knows, their shipping can be very hit or miss -- sometimes things arrive in good condition, other times the package will be dinged up, and very little care is used in the packing. But in my experiences, they have gotten slightly better in that regard lately, using some extra padding in the boxes in recent shipments. 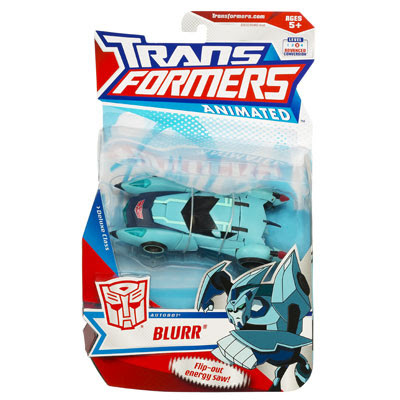 Perhaps this is another step in Hasbro acknowledging the existence of adult collectors. In recent months, they've seemed to list more collector-oriented things on their site, with Transformer Special Editions from Japan, and San Diego Comic Con exclusives. But I never in a million years would have thought that they'd start to sell AFA graded figures. Perhaps this is a test to gauge interest and see what kinda profits they can make. And if they sell well, we might start to see many more graded toys on their website. Since they have access to the action figures from the factory, it's pretty easy for them to pick out the perfect ones. Either way, the prices on these aren't horrible when you consider the costs of searching for gradable figures, buying them, carefully shipping them to be graded, and paying the AFA fee (which is currently $20 for a modern G.I. Joe figure). What do they cost? 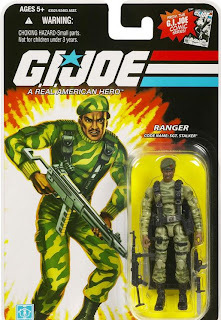 Hasbro is selling the G.I. 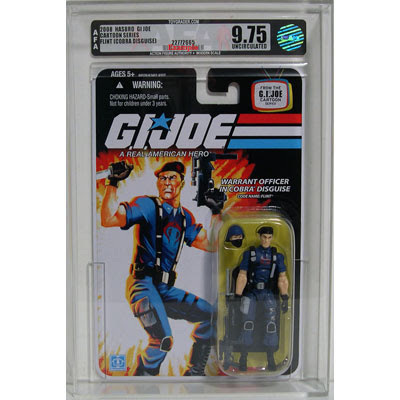 Joe wave 11 action figures graded 9.0 for $50; 9.25 for $60; 9.5 for $80; and 9.75 for $90. And apparently people are buying them, as about half of the various versions are sold out. The only thing I worry about now is if they are picking all the nice figures out of the cases to grade and sell, does that mean if I order the ungraded ones I'm gonna get bent and dinged versions only? 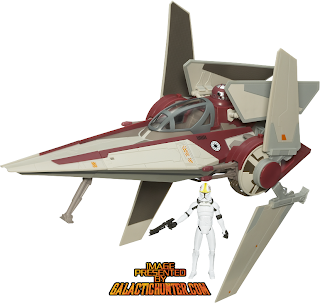 Update: Among the sold-out figures listed is a Cobra Eel "weapon variant" version 1 and 2. This is the first I have heard of this variant, and the pictures and description don't indicate exactly what the variant is. 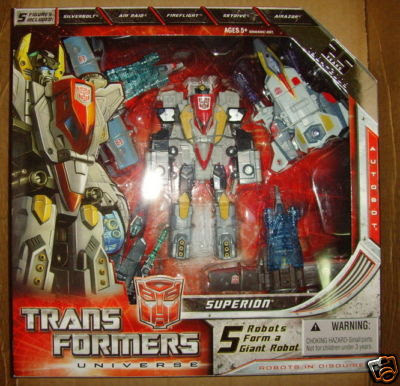 Pictured above is the new Transformers Universe Superion giftset, which will be joining the previously revealed Bruticus Maximus set on store shelves this holiday season. The images came from 2 Ebay auctions from Chinese suppliers showing us the first in-package photos we have of these combiner classics. 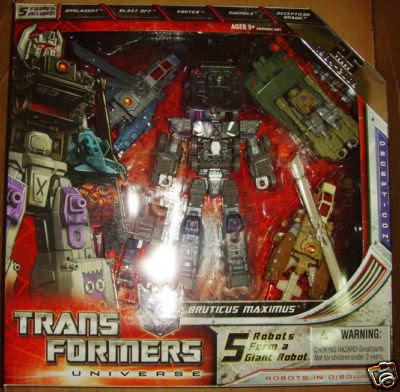 Both Bruticus and Superion are re-issues of the Energon versions, not the G1 originals, and should be priced around $25-$30 each. 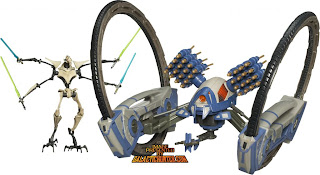 Coming your way in November are two new Star Wars vehicle variants exclusive to Toys 'R' Us. 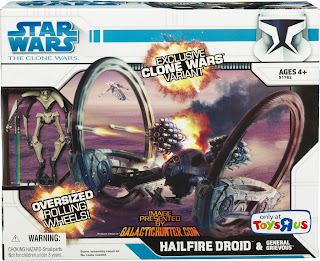 Yes, we have seen these before but the Hailfire Droid has been given a Clone Wars coloring makeover and unlike previous versions each vehicle comes with an action figure. Each is priced at $24.99. Also, Entertainment Earth has just stocked up on their new exclusive TIE Fighter with Hobbie Klivian action figure. This is a fighter from the "Star Wars: Empire" comic book series. 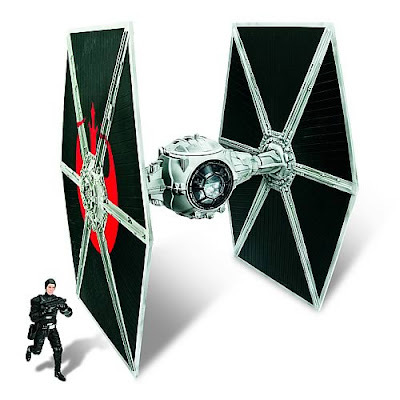 It's a variant of the large version TIE fighter with blast-off wings. It sells for $53.99, and Entertainment Earth is offering a special free shipping deal on any orders over $85 right now. 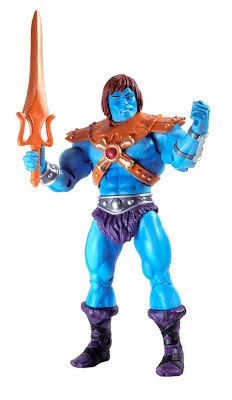 Last week we told you about the charity auction for the ultra-rare Spirit of Grayskull action figure, of which only two were produced. 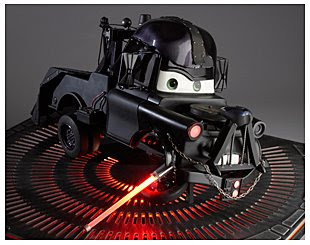 By the way, another item at the auction, the one-of-a-kind Darth Mater (pictured below) sold for $10,000! 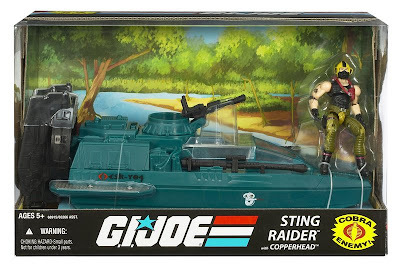 The Ghost HAWK was originally known as the Sky Hawk in the 1980s toy line, and the Sting Raider was the Water Moccasin, but the names were changed to something that Hasbro could properly copyright. Either way, these look to be an excellent addition to your army. They are due out a little later than originally planned - look for them around December. I still can't find Wave 2 in stores, but that's another story. Update: Hisstank also has extended photos of the Sting Raider here. Toys 'R' Us released their annual Toy Book this week, showcasing 80 pages worth of toys and special offers effective thru November 22. Page 24-25 LEGO sets on sale, from just about every line, with savings of $5-$10. 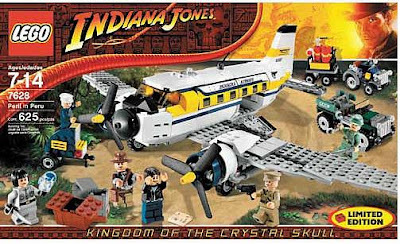 The Limited Edition TRU Exclusive Indiana Jones "Peril in Peru" set is now $5 off, at $49.99 for what I think is easily the best set of the bunch for collectors. Page 26 Star Wars toys! The best deal of the whole book is here: if you buy $99 or more in Star Wars merchandise you get a free Star Wars Transformers Millenium Falcon, a $40 value. Most of the Star Wars/Transformers crossovers are very oddly crafted, and some are just plain ugly, but the Falcon is the gem of the line. 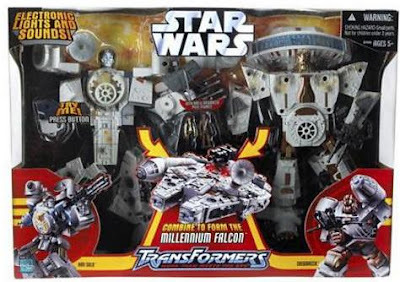 Two robots combine to form the Millenium Falcon, and now you can get it for free with purchase. Page 27 LEGO Star Wars deals: The Toys 'R' Us Exclusive "The Twilight" is $10 off (now $89.99). Haven't you always wanted a Rota the Hutt mini-fig? 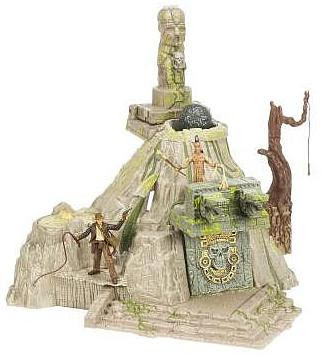 Page 28 Indiana Jones sale: Your last chance to get The Temple of Akator playset, now $33.99 ($6 off). Page 30 Transformers Unicron, available only at Toys 'R' Us is still $50, but Supreme Class Optimus Prime is now $43.99, a savings of $7 off. Page 36 TRU exclusive mail away Pixar Cars offer with purchase of 5 Cars. This offer is not available online.